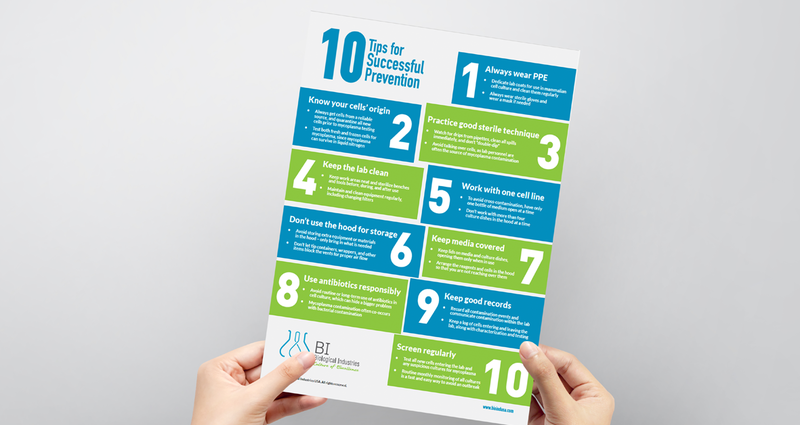 Download this free Top 10 Tips Guide to keeping your cells and your lab safe from mycoplasma contamination. Is this really free? Absolutely! We just like sharing our knowledge from personal experience that we hope you’ll find useful. Keep us in mind next time you have questions or are interested in our products and services to help keep your lab free from mycoplasma contamination. Download my free Prevention Guide from BI-USA! *Would you like to receive future communications from BI-USA? *Would you like to receive more information about the following? I'd like more info about both, thank you!